Saudi Arabia’s powerful deputy crown prince, Mohammed bin Salman, has put sports, culture and entertainment, at the cutting edge of his effort to culturally and socially take his conservative kingdom into the 21st century. To do so, he needs the approval of the country’s powerful, Sunni Muslim ultra-conservative religious establishment as legitimization of his bid to upgrade Saudi autocracy and ensure the survival of his ruling family. Prince Mohammed is believed to be widely popular in the kingdom. A 30-year old, he is in tune with aspirations of Saudi youth who, taken aback by the violence engulfing the Middle East and North Africa in the wake of the 2011 popular Arab revolts, want change but largely do not question the Al Saud family’s claim to the right to rule. Prince Mohammed’s Vision 2030 sets out his plans to diversify the kingdom’s fossil fuel-dependent economy and enhance the role of women but not totally free them from the shackles of in part tribally-inspired ultra-conservatism. It envisions sports, culture and entertainment as a way to address frustrations of Saudi youth without surrendering political control. This may sound pedestrian in a world in which sports, culture and entertainment are important fact totems of everyday life. In Saudi Arabia, a country with no cinemas that only in the last year authorized a limited number of public concerts and Western-style entertainment events and that has yet to introduce sports in girl’s schools, it is bold, tricky, and risky. The approach puts the country’s ultra-religious establishment in a bind. Their endorsement gives Prince Mohammed’s ruling Al Saud family legitimacy. It sets the Al Sauds apart from other autocratic, ruling Gulf families whose power is based on a combination of history, legacy, ability to deliver goods and services, and coercion. By endorsing Prince Mohammed’s reforms that violate their puritan, ultra-conservative worldview, the scholars risk their credibility. Yet, the degree to which Prince Mohammed succeeds in liberalizing Saudi society is likely to determine to what extent he can ensure that the kingdom’s ultra-conservatives do not lose out to militant, violent and non-violent, scholars who accuse them of selling out and deviating from the true path of the faith. It will also impact his efforts to diversify and streamline the Saudi economy. Prince Mohammed highlighted the role of sports, culture and entertainment with his recent announcement of plans to build what he touted as the world’s first cultural and sports city on the southwestern edge of Riyadh, the kingdom’s capital. The 334-kilometre complex will include a safari park. The prince asserted that the city was part of his plans to diversify the economy and create jobs. The city is scheduled to open in 2022, the year that Qatar is slated to host the World Cup. The announcement is but the latest move to create a buzz. In February, the government said it would start licensing gyms for women. Although a major step, critics have charged that lower class Saudi women would not be able to afford the membership fees. The limitations of Prince Mohammed’s reforms were evident in restrictions imposed on the gyms. Princess Reema bint Bandar, vice president for women’s affairs at the General Authority of Sports, said the gyms would not be allowed to engage in competitive sports such as soccer, volleyball, basketball and tennis. Instead, they were mandated to focus on techniques that contribute to weight loss and fitness, such as swimming, running and bodybuilding. The focus is designed to not only appease ultra-conservatives but address major Saudi health problems such as obesity and high levels of diabetes. A recent study showed that seven out of 10 Saudis suffered from obesity. Thirty-seven percent of Saudi women faced problems related to overweight in a country in which health insurance does not cover obesity surgery. The study calculated that Saudis spent $133 million a year on medical treatment for obesity and diabetes. It said diabetes had increased by 30 percent in the last ten years. Similarly, there are questions about plans to privatize Saudi soccer clubs, many of which are directly or indirectly controlled by the government. Privatization may not necessarily remove government control. Potential buyers would likely be major businessmen with close ties to the government and the ruling family or members of the family itself. Ultra-conservative backlash has pockmarked every bend of Prince Mohammed’s path. Saudi Arabia’s Middle East Broadcasting Center Group (MBC Group), owned by Waleed bin Ibrahim Al Ibrahim, scion of a family with close ties to the Al Sauds, was recently forced to revoke and apologize for a campaign aimed at empowering women. Some viewers called for a boycott of MBC. The kingdom’s General Authority of Entertainment has rolled out a schedule of festivals this year as well as film screenings and performances by Cirque Du Soleil, Universe Science, the Light Festival, and the Lion King that are expected to attract two million visitors in 15 cities. Egyptian musician Omar Khairat gave his first concert in the kingdom in Jeddah last month. Saudi singers have been allowed to perform publicly for the first time. Visitors of the Riyadh Book Fair last month confronted a man who protested against the performance of a Malaysian all-male dance group. The man was detained and questioned by authorities. The incident occurred at the same time that two prominent Arab musicians were giving a concert nearby. Ultra-conservative Saudis railed against “sin” and “evil” after the kingdom’s first Comic-Con pop culture festival. “Indecency, mixing with Muslims’ women, dancing and music cannot be called entertainment, it’s an invitation for debauchery and sinning,” charged Twitter user Tamim (@m_1385). 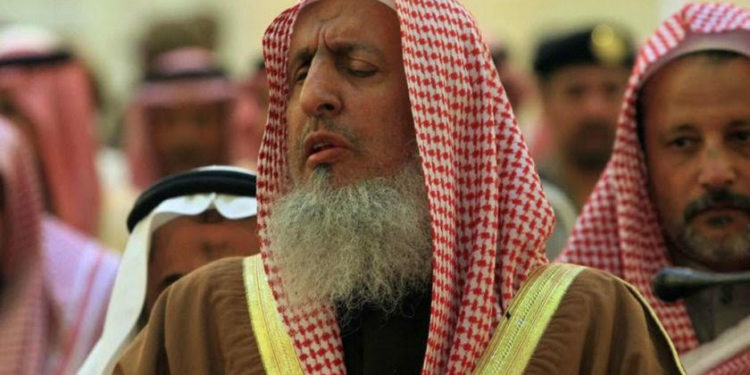 Saudi Arabia’s grand mufti, Sheikh Abdul Aziz al-Sheikh, told Al-Majd TV in January that concerts and cinemas were harmful and cause immorality. Sheikh Abdul Aziz and other ultra-conservative scholars were cautious not to confront the ruling family head on. The government hopes to counter the ultra-conservative scholars by gradually populating the Council of Senior Scholars with religious figures more amenable to Prince Mohammed’s reforms. Repopulating the council will ensure that official scholars will issue more pro-government opinions. It is unlikely to change ultra-conservative opinion.